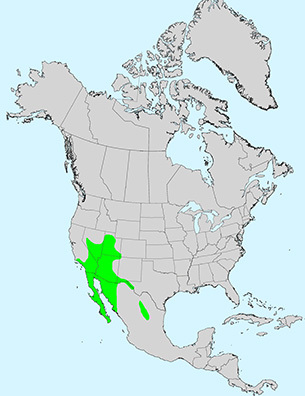 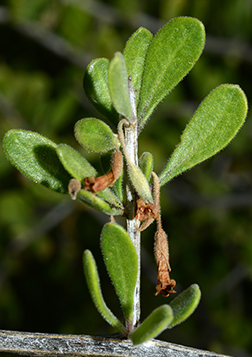 Leaf:Alternate, simple, drought deciduous, 1/4 to 1 inch long, broadly obovate to spatulate, entire margins, finely hairy, blue to gray-green, somewhat thickened (thickness known to vary by variety). 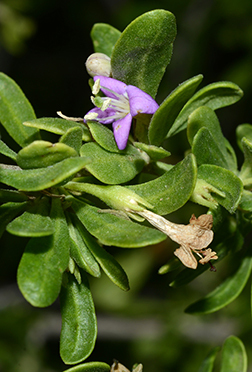 Flower:Species is monoecious; narrow tubular, 5 lobed, 1/4 to 3/8 inch long, light purple to nearly white, appearing in late winter to early spring. 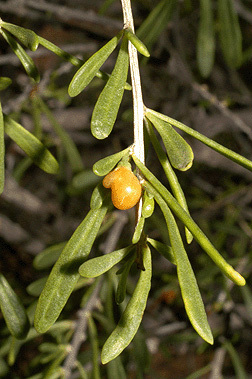 Fruit:Fleshy orange-red, oval berries (resemble small tomatoes), 3/8 inch long, hang downward, ripen in spring, edible. 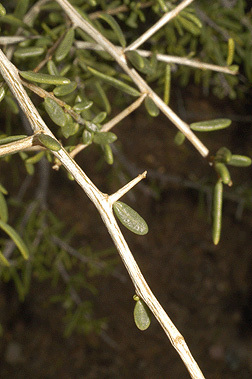 Twig:Stiff, light brown but turning gray, and spine-tipped, leaves appear on short spurs. 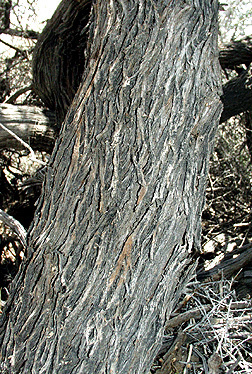 Bark:Irregular, interlacing, shallow furrows with shreddy flat ridges. 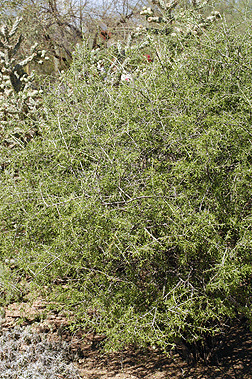 Form:Densely branched, spiny, rounded shrub up to 8 feet tall (most often 3 to 5 feet).